Police are investigating a reported armed robbery at an H&R Block office on Chicago's West Side Wednesday morning. 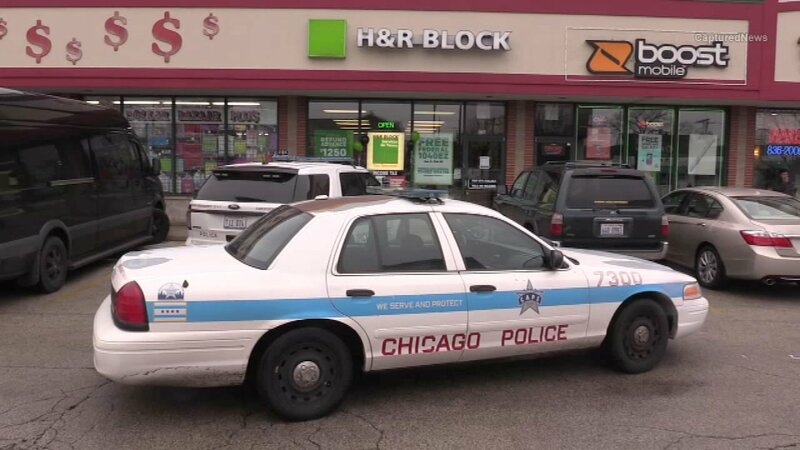 CHICAGO (WLS) -- Police are investigating a violent armed robbery at an H&R Block office in the Cragin neighborhood on Chicago's Northwest Side. Police said an armed man walked in to the business near Fullerton and Mango Wednesday morning and robbed three employees of their wallets, a purse, and mobile phones. During the robbery, police said the suspect struck one of the employees in the head with a gun. The 33-year-old man was taken to Community First Hospital in good condition. The other two employees were not injured. No one is in custody. Area North detectives continue to investigate.